Dr. Deepak Chopra introduces another course named “Timeless You”, I really love those two words, Yes we are timeless don’t you think so? Time is an illusion; it exists because we have a sense of its existence. 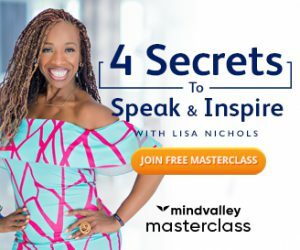 In this timeless you review I will be discussing with you about the contents of this program which teaches you to live without being affected by time. It is easy to say that, but it is a bit hard to realize, I will give you something here to think about- Analyze your dreams! There is no direction to the flow of time there- You are sometimes young and sometimes old and there is no logical order to anything in your dream world. This thought has always evoked my curiosity that aging is also a concept of our “mind”, because we know that people lived for a relatively long time as we look back into the past human evolution, gradually the mind programming of “expiry date of human body” has been set to about 80-100 years now. I don’t say that we should aim to seek extreme longevity because as spiritual beings I believe that our sole aim is to have a beautiful experience in this planet and beauty is incomplete without change, a journey is interesting because we have a destination to reach. But, in this beautiful journey of life we should seek to keep alive the excitement, curiosity, health, joy and fun that we had when we were kids and this is why I find Deepak Chopra’s “Timeless You” worth trying. Okay, I don’t say that we can have a superman like body till the age of 80(however, I don’t readily deny that thought either..lol)but there is no doubt that the “mind programming” that society and our ancestors imposed upon us is what decides our body ‘s and mind’s age. You will start getting wrinkles when you are 40; you won’t have any stamina to run when you are 50, it is impossible to be completely fit when you are reach the age of 60- these are all false beliefs that were passed down from generation to generation, some people readily accept them and some are wise enough to believe something better and this decides their true conditions. I have seen many examples of people of similar ages living life differently; this planet has always witnessed people who have kept the “child” and “youngster” alive in their old age. 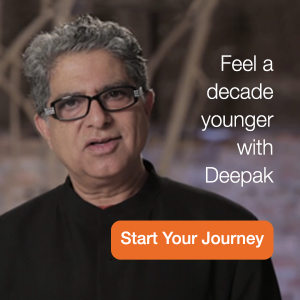 So What Is Deepak Chopra’s “Timeless You” Online Program All About? I find it fortunate that somebody so well known and loved by the world like Deepak Chopra has given us something that focuses on such an important aspect of living. This program focuses on changing your core beliefs about aging and body so that you could reverse your body’s condition to a previous phase of your life. We all know that our body is changing continuously and with time we actually get into a completely new body; using the power of our thoughts we can alter the mechanisms of our body cells and that is how “Timeless You” helps you to feel younger. The program is not just about the body, but it is about the joyful and stress free living by feeling young and healthy as before. The social paradigms that affect our bodily conditions and mental states decides our “aging” but we do have a control over it and with a continuous effort of changing the “mind programming” that persists in our subconscious mind which was done when we were kids, we can change how our future body and mind conditions will be. What the Program Consists Of? “Timeless You” online course is a 6 Part program that focuses on setting your “mental age” to a prior time, which will further help your body to change according to this new belief. The program starts with the part that focuses on changing your perception, it is amazing that just by shifting our focus by working with the mind a little how we can see things under a different light and I think nothing could be a better first step than changing the way we perceive our world. In the second part you will find amazing exercises and games that will rekindle the curiosity, creativity and fun that you experienced when you were young, according to me that is a brilliant way to keep alive the excitement of a youthful mind. (I engage myself in such activities very often, getting involved with kids in their games keeps our “inner child” alive). Further the course focuses on the relationships and building a better mind body connection. Mindful Eating is the part that I liked the most about this program because I find it extremely significant in our lives, I believe that our health depends on our relationship with food, it is always about how we eat rather than what we eat and how much we eat. Our body naturally has the tendency to tell us what is good for its betterment and when we start to eat mindfully, we intuitively get aware of what is good for us. Final part makes you to do exercises for keeping your body fit, but these are exercises that you will find interesting and easy to continue that is why they call it “Joyful Exercise”. If like me, you also believe that you have a control over your “aging” then I am sure that you will like this program. 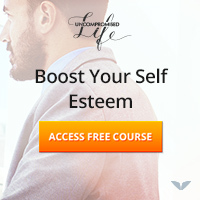 The course comes with about 18 exercises and 37 video insights by Deepak Chopra which is really something that should not be missed if you are someone interested in self growth. I guess the only way that you will regret after buying this product will be when you don’t follow it regularly.